Video blogging is capturing a lot of attention in today’s business environment. Compared to blogging, which revolves around text content in most part, video blogging can bring extra benefits that businesses can leverage for a better performance. Most of today’s famous video bloggers are building their audiences on YouTube, as this video and social network brings millions and millions of unique users on its pages. Moreover, they say that a picture is worth a thousand words; but what about a video? A video can be an extremely powerful tool for anyone who’s looking to sell something. When someone stands in front of a camera, displaying smart body language, authority, and safety, the effectiveness of the “persuasion” is much higher compared to the simple act of reading text. It’s a proven fact that videos featuring human faces are easier to trust. Naturally, great videos require great accessories. To skyrocket your video blogging activities, I’d highly suggest you acquire several little tools immediately. You cannot do everything on your own, and you don’t even have to. Simply allow different software to do the job for you. These guys have compelled a batch of 2.5 million stock images and videos which are all available as templates. 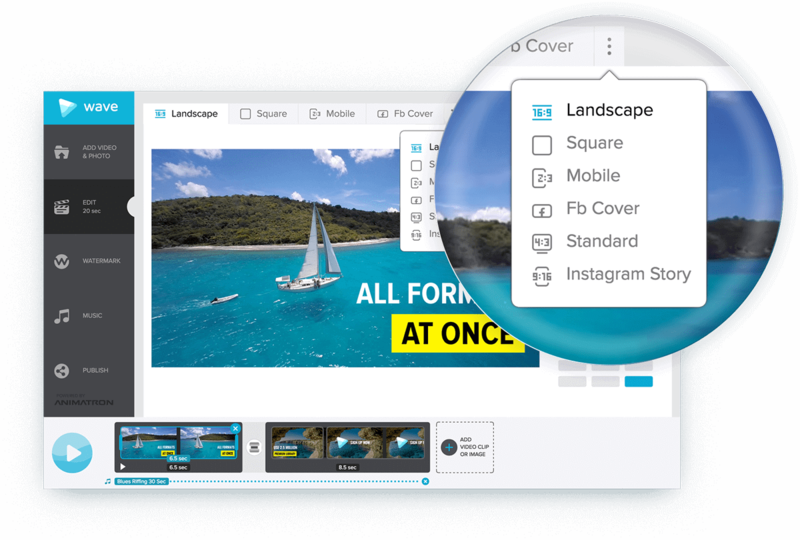 You can upload your own media along those stock videos and images, and edit the entire video leveraging drag-n-drop features. Add effects and play with your final work. It should take you 10 minutes to develop a great promotion video for your business! Camtasia is a complex video creation & editing software. Even though Camtasia has a lot of advanced options, it is extremely easy-to-use. After 10 days of editing, you should master all the necessary elements that’ll help you edit your videos well. This software offers a large choice of output possibilities, and it can even help you convert different types of video formats. I’ve heard about many high rated marketers that can’t use anything but Camtasia for their million dollar campaigns.Now that’s something to consider. Lead Player is a video lead generator that will help you collect emails while people are watching videos. Not just that, but you can also lock your videos with a social lock which only unblocks the moment a person shares your video on one of his/her social media platforms. Lead Player is definitely a useful tool for absolutely every video blogger out there. This software is specifically designed to help you market your videos and products in the best possible ways by giving you extremely convenient features. Essaygeeks might come unexpected, as, by its name, it suggests you the word “academic”. However, Essaygeeks is more than an essay writing software. For me, it is a great way of discovering talented writers that will assist at my future video development activities. I’ve already found 2 talented individuals who are always eager to write scripts for me, edit my scripts, and look for any sort of mistakes that could damage my video. The great thing about Essaygeeks is that you’ll only find certified, professional writers, who have also finished different universities and got their Ph.Ds. in different fields. The rates are truly affordable, and the return of investment is always pleasant to observe. Izzyvideo is a not a software, but a platform of useful information around an essential subject: video shooting. This is an authority website that truly enjoys delivering value to its readers, helping them understand the best possible ways of shooting professional videos. Throughout this website, you are also going to find different how-to articles, interviews, checklist articles, and comprehensive how-tos. Therefore, you should give it a check. I am sure it’s going to upgrade your video production game. Once you create better videos, more people will start following your video blog. Video blogging is and will be an effective strategy for generating great amounts of traffic, acquiring new customers, and also for widening your brand’s awareness really quickly. Take advantage of every tool that might bring value to your vlogging activity, and take action consistently!